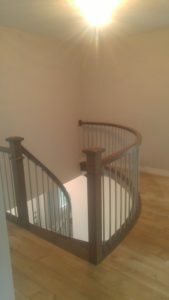 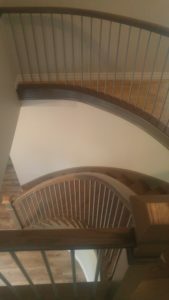 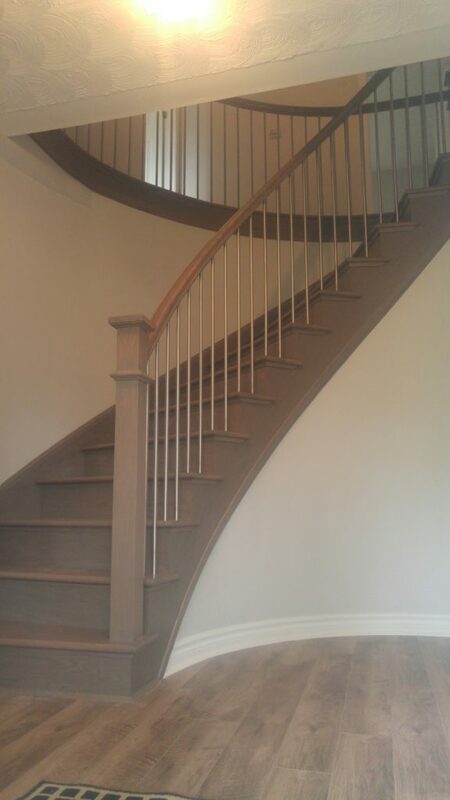 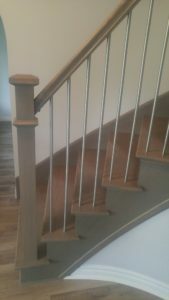 ﻿ Curved Staircases Add Appeal | Scotia Stairs Ltd. 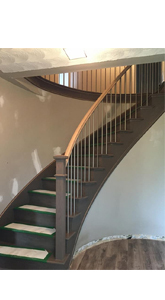 When people tell us they are going to replace their current staircase themselves, we do our best to help guide them. 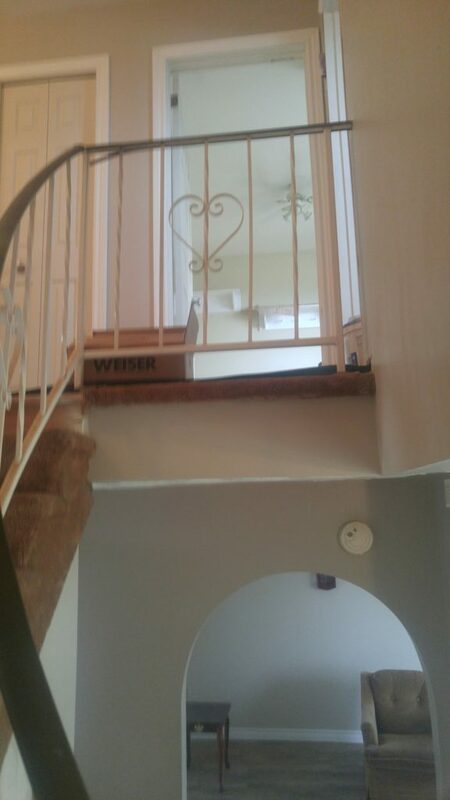 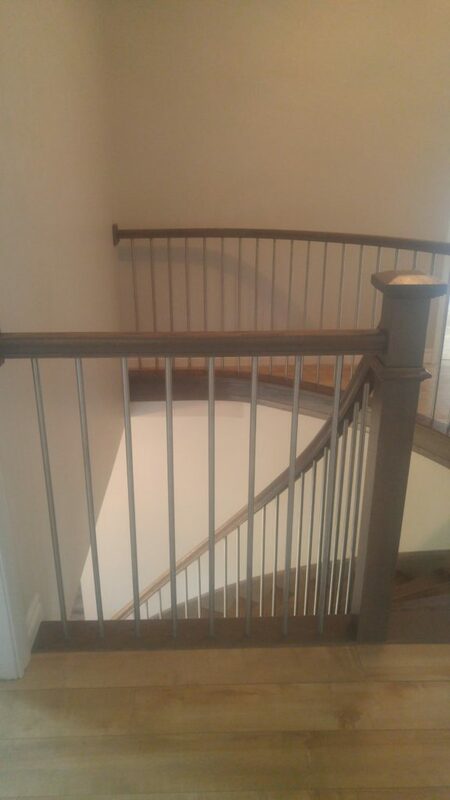 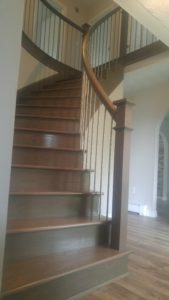 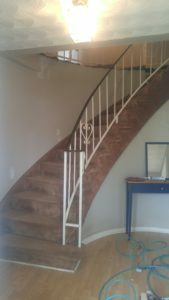 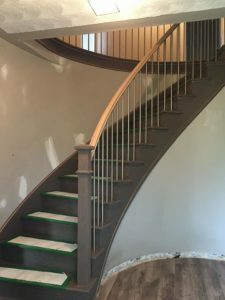 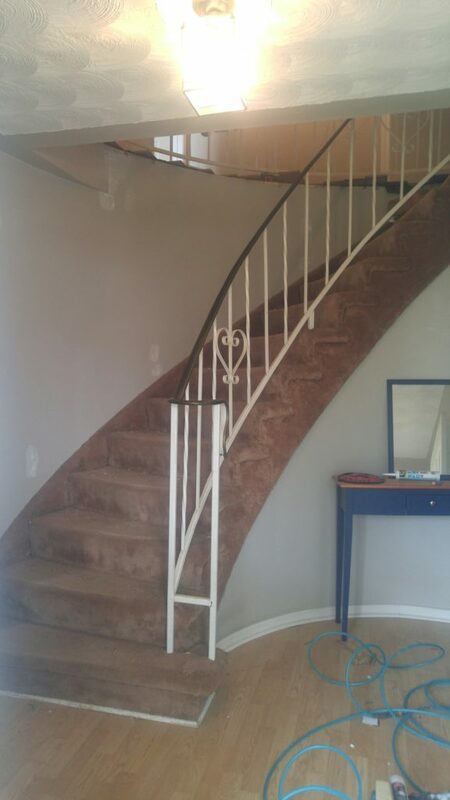 However, if that current staircase is an old curved staircase, then we strongly advise them to let our professional installers take care of the work for them. 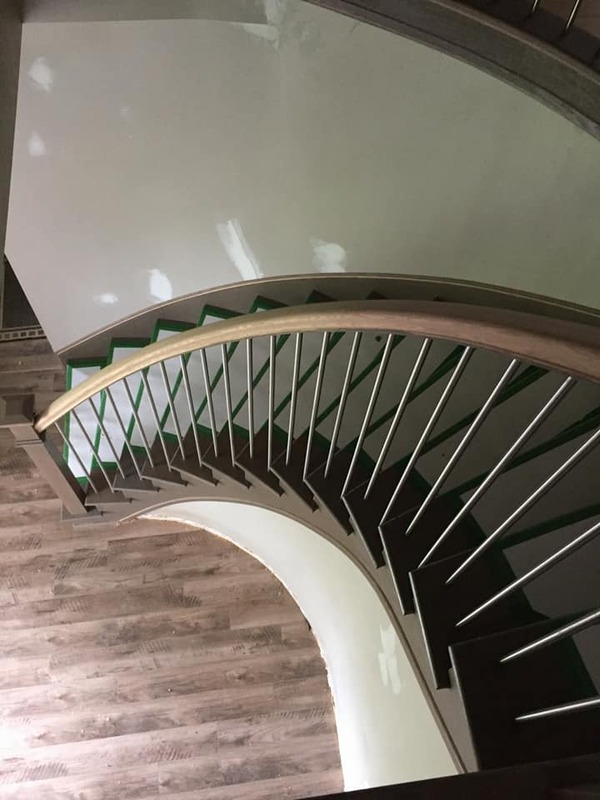 If you are thinking of adding, replacing, or upgrading your current curved staircase, the right steps to begin with are, visit our Curved Staircase Packages page, and talk to one of our knowledgeable staff. 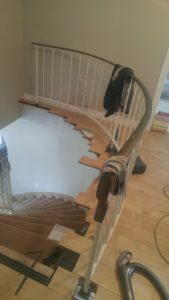 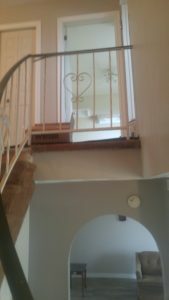 The images below document the before, during and after of a curved staircase enhancement to a local home, completed by the Scotia Stairs Limited installers.